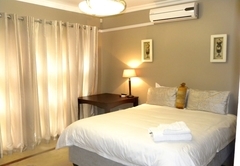 Valid 15 April to 27 May 2019: 10% discount on standard rates, on stays of 2 nights or longer. 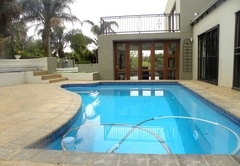 Cashan Manor is one of the highly recommended Rustenburg guest houses and provides accommodation in 6 guest rooms for tourists visiting the Bojanala Region. 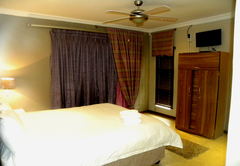 Cashan Manor is an upmarket guest house, situated in one of the best areas of Rustenburg, close to all important amenities. Our business and leisure travelers alike will experience excellent and friendly service, a delicious, hearty breakfast and great facilities. 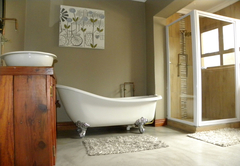 There are six individually decorated rooms, all with en-suite bathrooms. A delicious, hearty breakfast is served in the mornings and we offer dinners (to be arranged in advance). Our on-site facilities include a beautiful sparkling pool for hot summer days and a boma area to linger over a glass of wine. 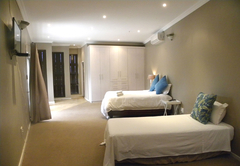 There is secure parking and Wi-Fi access. 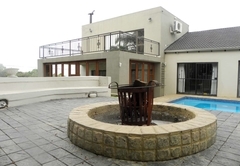 Cashan Manor is conveniently situated close to a number of good restaurants, the Waterfall Mall, Platinum Square Shopping Centre and a 5km drive to the central business district. 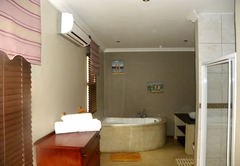 We can offer information and assist in bookings to Sun City Resort, Pilanesberg National Park which are situated a mere 40 km away, as well as the world class Royal Bafokeng Soccer Stadium within the same distance. 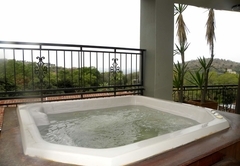 The Kgaswane Nature Reserve is literally on our doorstep, a kilometer away. We're looking forward to welcoming you to our establishment. 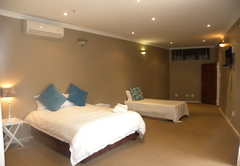 Large modern room with queen sized bed and 1 double bed walking onto private balcony. 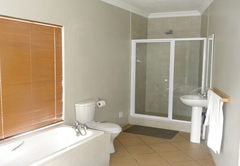 En suite bathroom (shower only). 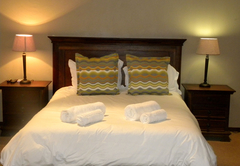 Very spacious double room with en-suite bathroom (bath and shower) walking onto a large balcony. Excellent! Feels like home away from home.